The volunteering initiative - Coast Care - has recruited a small army of volunteers who have been out counting and recording every single piece of litter they have found over the last year. The final survey takes place over the weekend of 14th-17th September to coincide with the Great British Beach Clean and with 18 beaches to survey in four days, Coast Care needs more volunteers to take part. 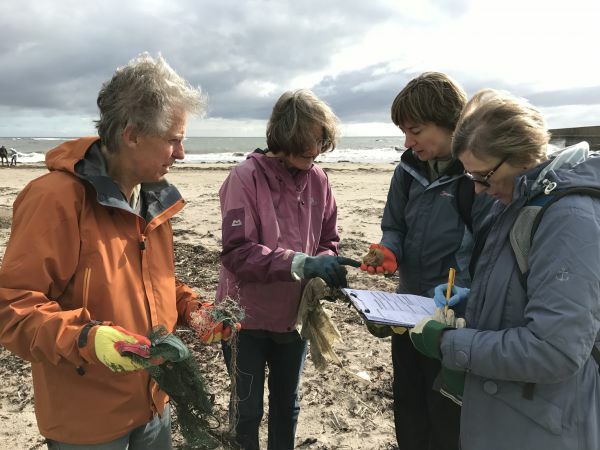 Laura Shearer and Anna Chouler from Coast Care have organised the surveys and Laura said “The Great British Beach Clean weekend is the ideal event to collect the last data and bring the survey period to a close. The data will be analysed and compare to a similar survey in 2007 which will provide an insight into how the composition and amount of litter has changed. Community Foundation, serving Tyne Wear and Northumberland have provided funding for the project through their LEAF programme. Newcastle-based law firm Muckle LLP have supported LEAF and specifically this project. Andrew Davison OBE from Muckle LLP said “Litter on beaches is a growing problem across the globe and the North East is no exception. "This volunteering initiative not only helps clean our beaches today but the report findings will help to ensure they will be cleaner in the future and will be very valuable for activists and decision makers alike. "We are very pleased as a local business to have been able to support it." 450 volunteers have contributed over 1500 hours of time so far, cleaning beaches and completing surveys and they will be rewarded with a beach BBQ at the end of the project. Meeting location: Lindisfarne castle entrance gate. Meeting location: The Old Cemetery, Links Road Amble. Parking by the Salt Pans on the side of the cemetery. Meeting location: The village square by the access to the beach. Meeting location: The car park at TD15 1SE. Meeting location: Howdiemont beach car park, beyond Low Steads Farm nearest postcode NE66 3AL. Meeting location: The car park at NE66 3HJ.